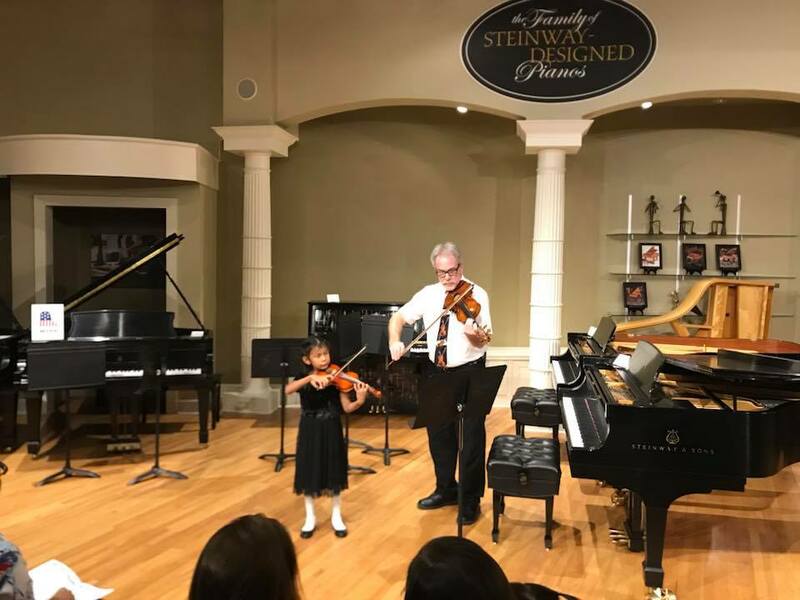 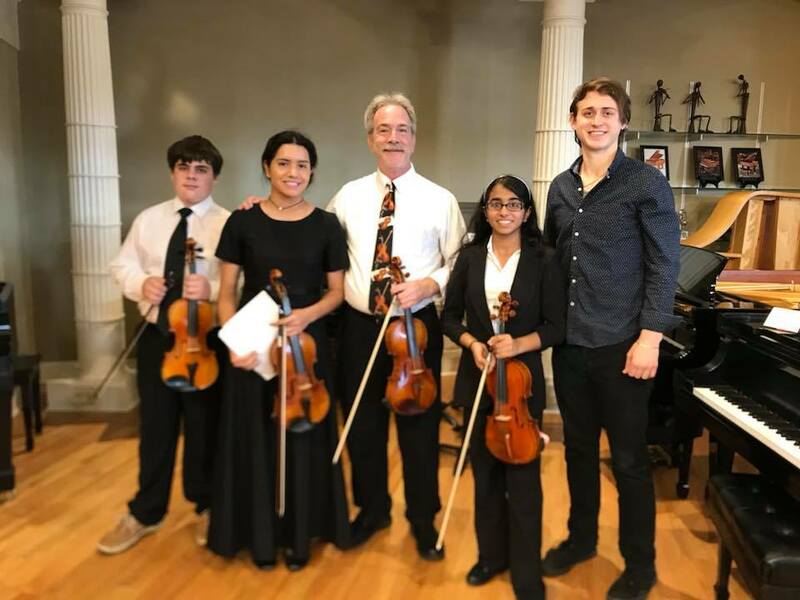 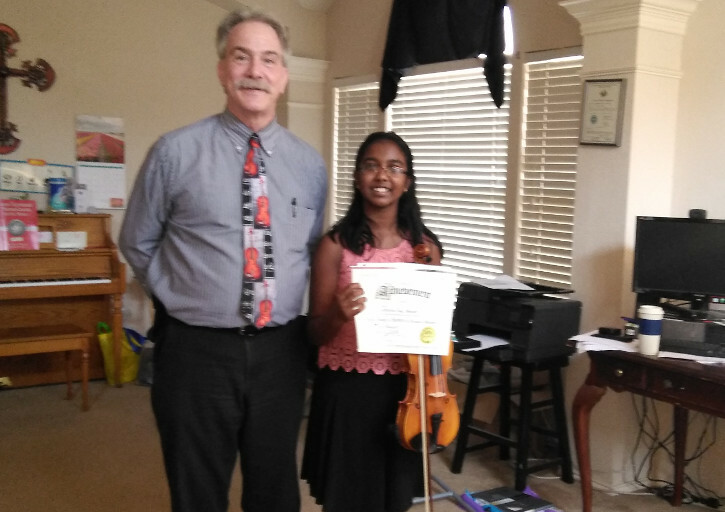 CONGRATULATIONS to Jurusha Rose Abraham for passing her Advanced Beginner Violin Exam on August 9, 2018! 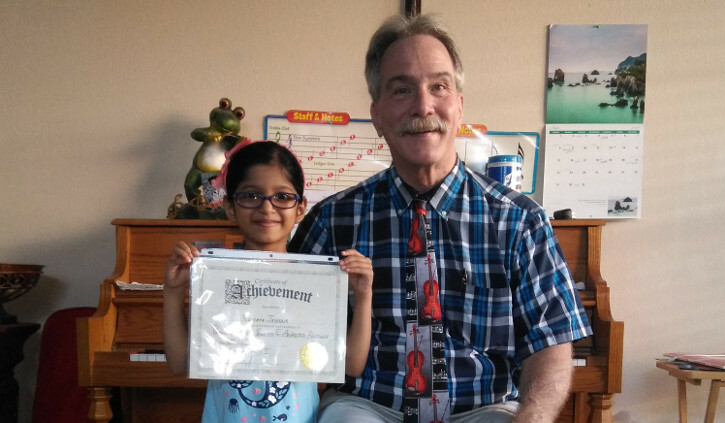 CONGRATULATIONS to Vishaka Jayaram for passing her Advanced-Beginner Piano Exam on July 5, 2018! 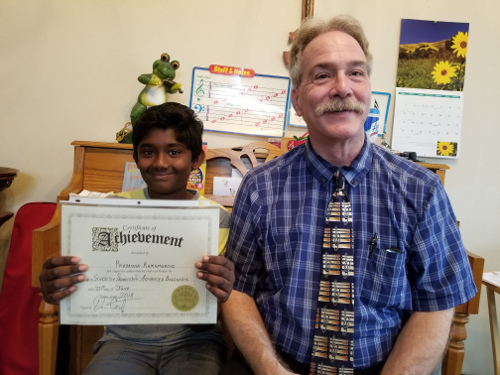 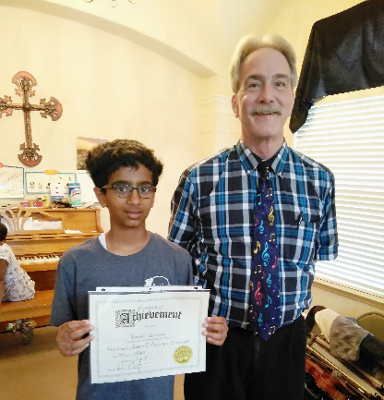 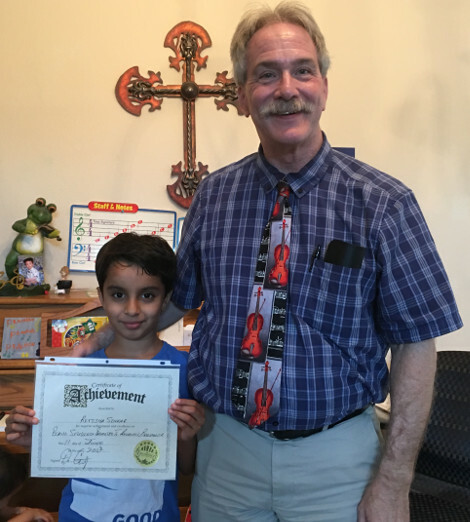 CONGRATULATIONS to Prasanna Ramamurthi for passing his Advanced-Beginner Piano Exam on June 23, 2018! 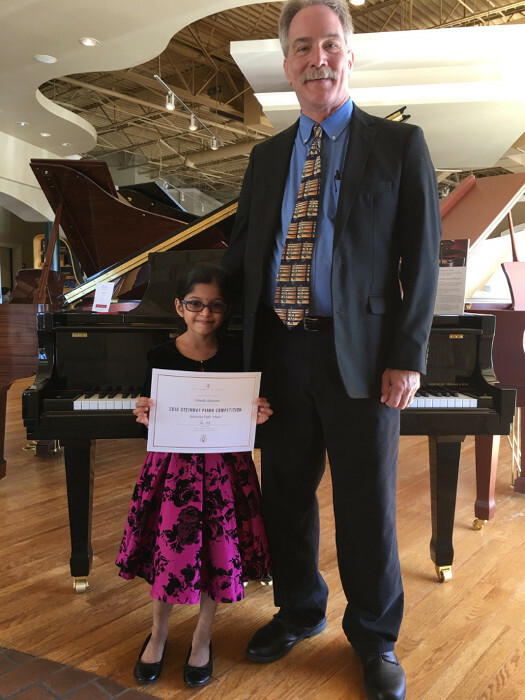 CONGRATULATIONS to Ritisha Sengar for passing her Advanced-Beginner Piano Exam on June 11, 2018! 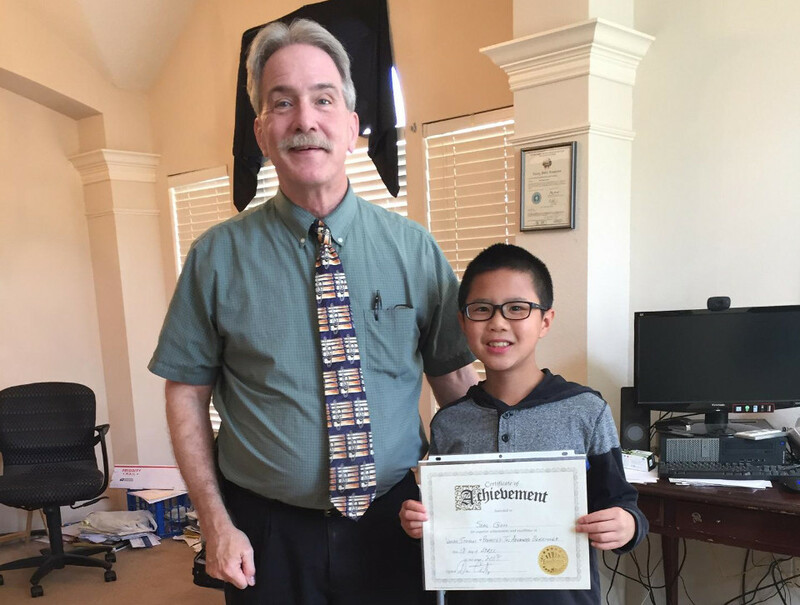 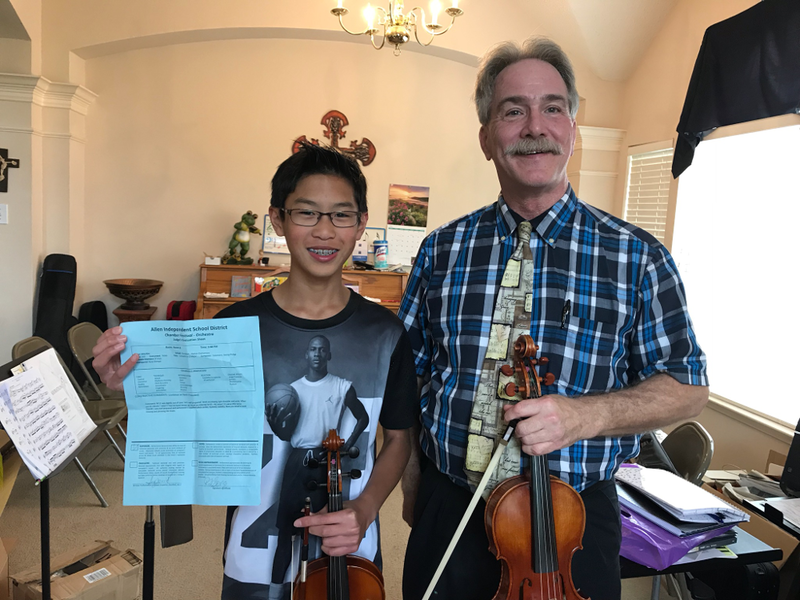 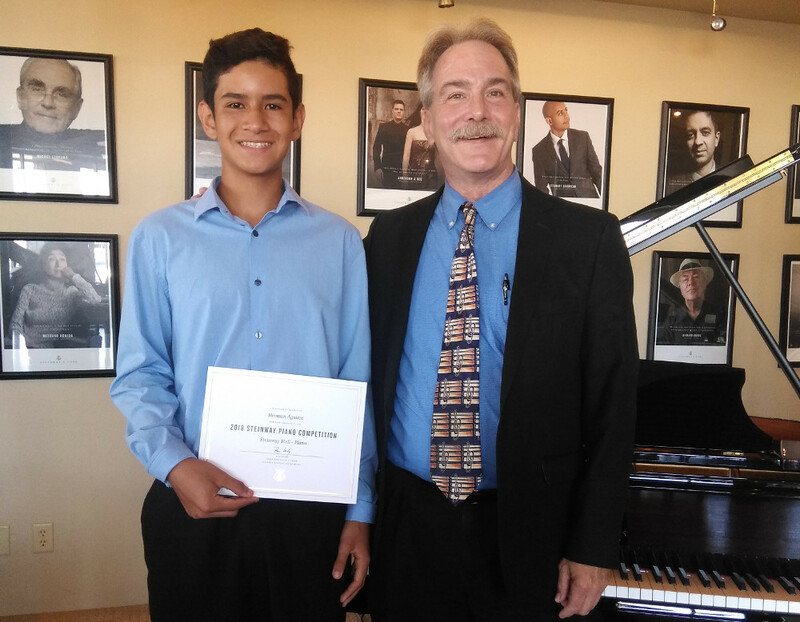 CONGRATULATIONS to Gabriel Cawthon for passing his Intermediate Level Piano Technique/Memorization Exam on May 17th! 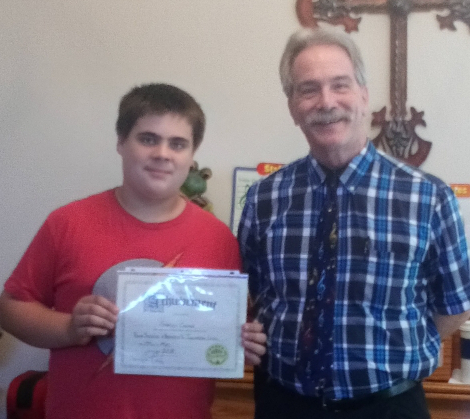 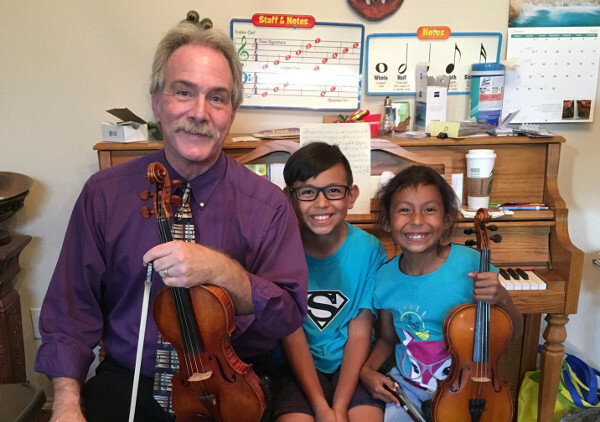 This student's Mom, Mrs. Lyndie Cawthon, has driven Gabriel for 7 years to study Violin & Piano with Dr. Certain all the way from Leonard,Tx. 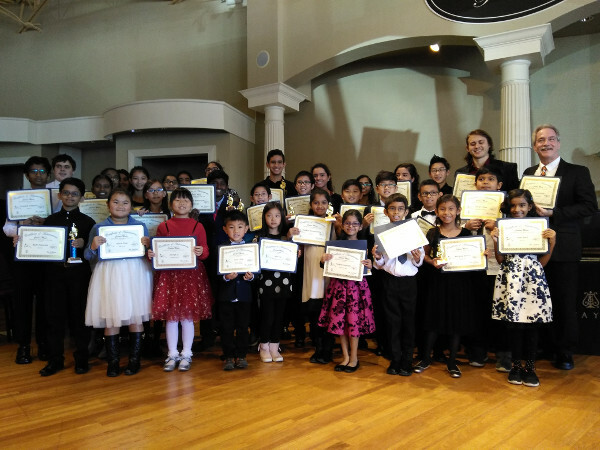 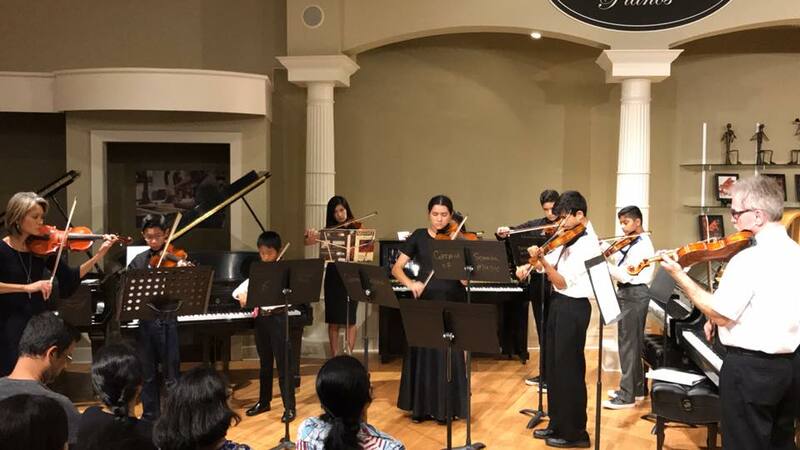 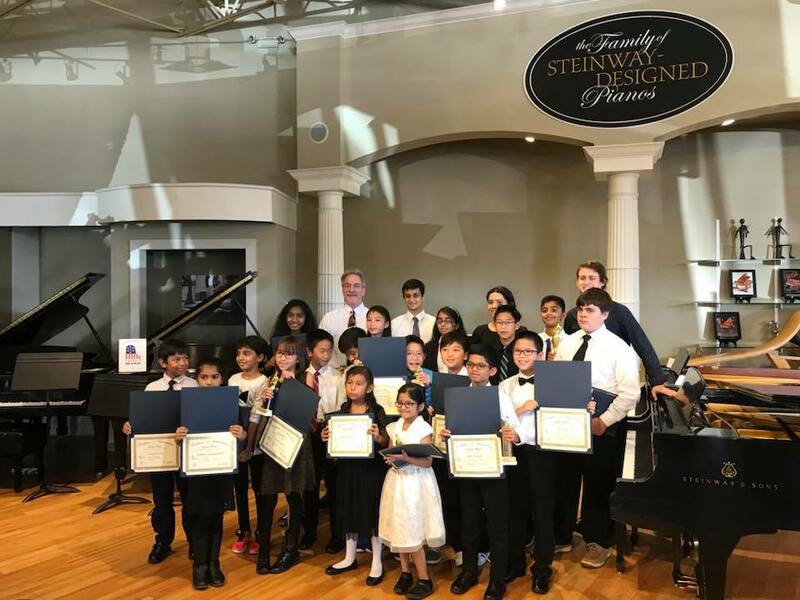 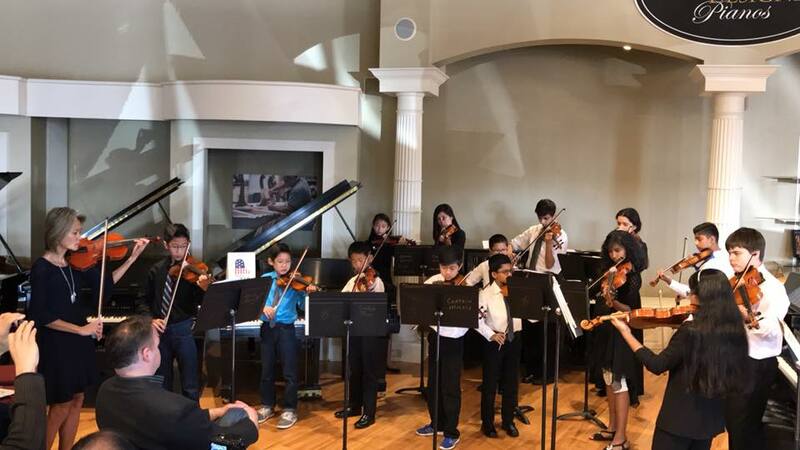 June 28 - July 1, 2018 : Good luck to Herman Aguirre and Vishaka Jayram who have been entered to compete in the new, 1st annual Steinway Piano Competition for young pianists that will be held at Steinway Hall -Plano.